Our packages are tailored to meet the group experience, expectations and budget. Lasarotta Hunting provides the nearby traditional hotel accommodation suitable for hunters with excellent food and good range of branded and domestic drinks. 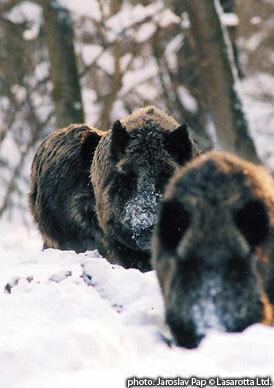 Transfers from Zagreb or Belgrade airport to the local boar areas and back takes from 1h 45 min to 3.5 hours. We are booking driven wild boar hunting well in advance to avoid disappointment and to be able to secure the best areas for our clients.